We have information you must know before you buy the Explorer. The carryover 2019 Explorer continues arriving at dealers nationwide, and selection is now quite good. Blind spot monitoring is now standard on all trims except the base model. The line-topping Platinum gains standard adaptive cruise control, lane keeping assist, and automatic emergency braking. These features remain optional on the other trims. The mid-level XLT and Limited trims are easiest to find. The Explorer Sport is stocked in fewer numbers and is less likely to be discounted. The base model is very rare. The 2018 Explore has sold out. A full redesign is on tap for the 2020 model year. The 2020 Explorer will come standard with Ford's Co-Pilot360 driver assistance system. Hybrid and sporty ST versions will join the lineup. The ST will be considerably more expensive than the outgoing Sport. The 2020 Explorer line starts at $33,860. Offers vary by region and are set to end July 1, 2019, although Ford often modifies offers prior to their expiration date. Examples listed here are for California. Ford often enhances incentives for Memorial Day weekend. Every 2019 Explorer comes with a $3,000 rebate for all buyers, an increase of $500 over last month. There's also a $500 Select Inventory bonus on models in stock longer than 60 days. You can now lease a 2019 Explorer XLT from $349 for 36 months (10,500 miles a year) with $4,349 due at signing. This works out to an effective monthly cost of $470, a very good value for this class of vehicle. This offer reflects a Select Inventory bonus of $250, the standard amount on all Ford leases this month. The cash at signing will be $250 higher on non-qualifying models. In place of the standard rebate on a 2019 Explorer, you can get 0% APR for 60 months or 1.9% for 72 months on Select Inventory (vehicles in stock longer than 60 days). Rates on non-qualifying models range from 0% for 48 months to 2.9% for 72 months. All promotional financing comes with $1,000 bonus cash. Promotional APR Offer Promotional APR programs available for qualified buyers. Please check with your CarsDirect Trusted Dealer for complete details.%NotesManuf% %Eligibility% Residents residing in qualifying regions of the United States. %Qualification% Rule of '10' and Standard Rules of Eligibility apply. EligibilityResidents residing in qualifying regions of the United States. The 2019 Ford Explorer continues to shine in the heavy populated sea of crossover SUVs. 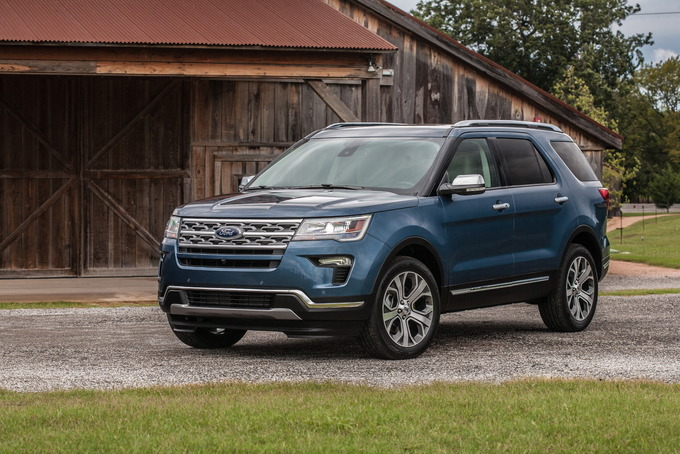 Entering its final production year in the current generation, the 2019 Ford Explorer is available in five trims. 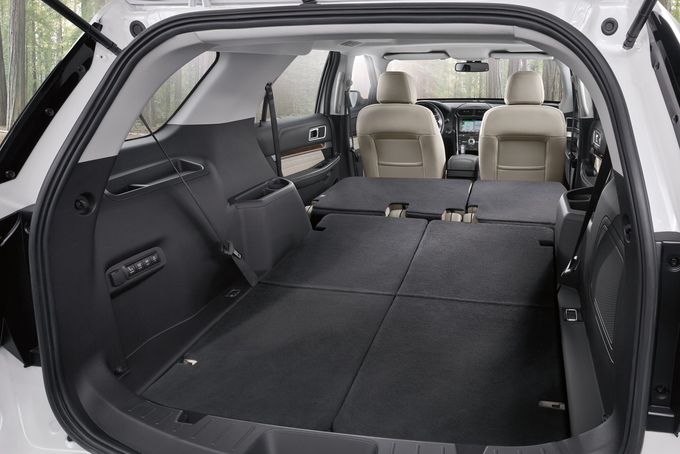 This SUV is packed with impressive technology, offers multiple powertrain options, and features a slew of packages that can customize it seemingly any way you’d like. 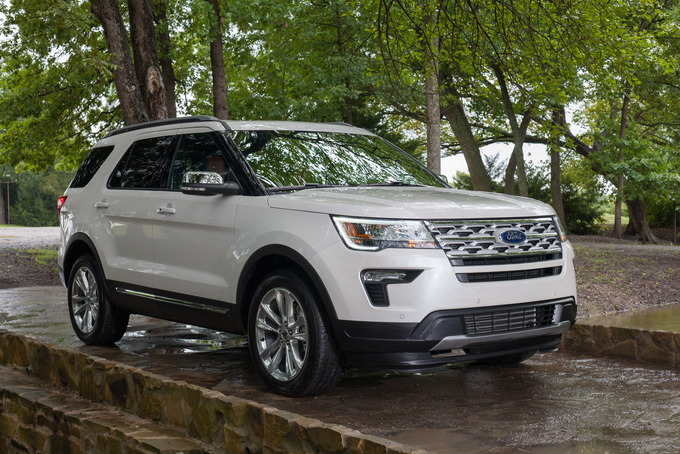 The 2019 Explorer adds a few new packages, and active safety features are more widely available. Blind-spot monitoring and power and heated side mirrors are standard on all trims except the base. The Explorer Sport and Platinum gain paddle shifters, while a power tailgate is newly standard on the XLT. 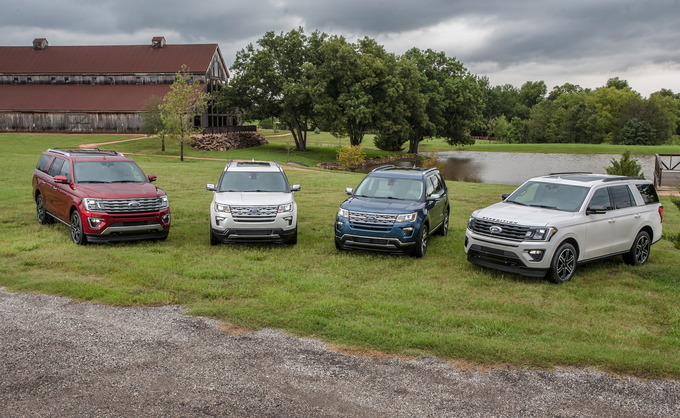 For 2019, consumers can opt for one of five trim levels: base Explorer, XLT, Limited, Sport, and Platinum. The base engine is a 3.5-liter V6 that delivers 290 horsepower and 255 pound-feet of torque and is paired to a six-speed automatic transmission. The EPA rates this engine at 17 miles per gallon city, 24 mpg highway, and 20 combined. It comes standard on the base and XLT and is available on the Limited. Standard on the Limited and available on the base and XLT (for an extra $895) is a 2.3-liter turbocharged four-cylinder engine that produces 280 hp and 310 lb-ft of torque. Fuel economy estimates improve to 19/27/22 mpg (city/highway/combined) with front-wheel drive. Finally, the Sport and Platinum trims come exclusively with a 3.5-liter twin-turbocharged V6 engine that bangs out 365 hp and 350 lb-ft of torque. Fuel economy drops to 16/22/18 mpg. Front-wheel drive is standard on the base, XLT, and Limited, while the Sport and Platinum receive standard all-wheel drive. All-wheel drive can be added to the base, XLT, and Limited for $2,150 extra. The base Explorer arrives at dealerships starting at $33,360 (all prices include the $995 destination charge). It comes standard with 18-inch wheels and Ford’s 100A equipment group, which includes an air filtration system, single-zone climate control, cruise control, second- and third-row tinted windows, cloth upholstery, and manual-adjustable front seats. 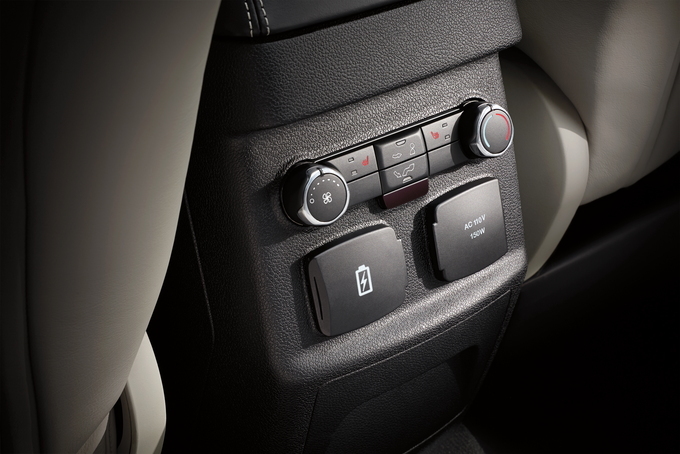 The base also features the Sync voice command system and includes a rearview camera. The base comes in four exterior colors and a single interior pattern. The only notable package options are the Trailer Tow Package – Class II ($395) and Trailer Tow Package – Class III ($570). The Explorer XLT is the second trim option and starts at $35,395. The XLT includes upgrades such as LED running lights, rear parking sensors, chrome body accents, and SiriusXM satellite radio. The XLT trim opens the door to several Equipment Group upgrades. 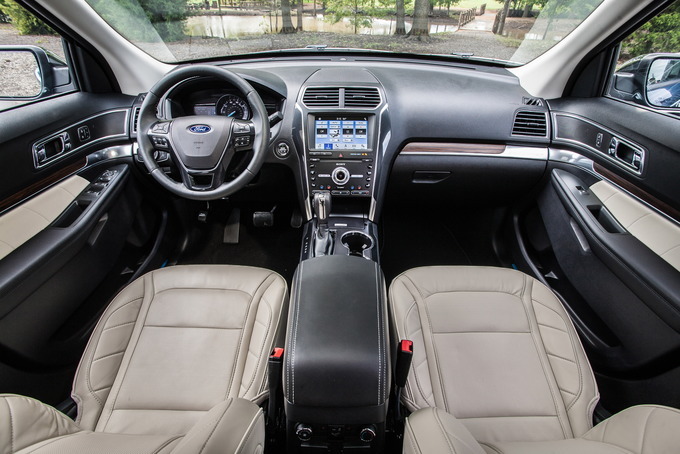 The 201A Equipment Group ($2,780) adds Ford’s Sync 3 infotainment system displayed via an eight-inch LCD touchscreen, Apple CarPlay and Android Auto connectivity, two USB charging ports, a seven-speaker sound system, dual 4.2-inch LCD driver displays in the instrument cluster, blind-spot monitoring, rear cross-traffic alert, fog lights, a power liftgate, remote start, dual-zone climate control, an auto-dimming rearview mirror, and more. The 202A Equipment Group ($6,230) bundles the 201A features and adds a forward sensing system, a heated steering wheel, partial leather seating surfaces, and heated front seats. The XLT can also be spiced up with several packages. The XLT Desert Copper Package ($1,840) adds 20-inch polished alloy wheels, first- and second-row black leather-trimmed seats, third-row black vinyl-trimmed seats, and chrome mirror caps, while the XLT Sport Appearance Package ($1,595) offers 20-inch wheels, black exterior treatments and badging, roof-rack side rails, a leather-wrapped steering wheel, and leather seats. The Ford Safe and Smart Package ($1,020) bundles blind-spot monitoring, rear cross-traffic alert, adaptive cruise control, forward collision warning, automatic emergency braking, lane keeping assist, rain-sensing windshield wipers, and automatic high beams. Climbing up the trim ladder, the Limited begins at $43,760 and is arguably the best buy of the Explorer lineup. The Limited includes the 202A Equipment Group features and also adds the 2.3-liter turbocharged engine, leather upholstery, heated and cooled front seats, a 12-speaker Sony audio system, and a voice-activated navigation system. Consumers can opt for the normally-aspirated V6 engine if they choose for $570. The Safe and Smart Package is again available, while the Limited Luxury Package ($1,905) adds 20-inch aluminum wheels, chrome mirror caps, front multi-contour seats, and an upgraded leather steering wheel. Starting at $47,620, the Explorer Sport gains the 3.5-liter twin-turbo V6, all-wheel drive, and a beefed-up suspension kit. It features perforated leather seating, 20-inch aluminum wheels, a rear spoiler, a power liftgate, chrome quad exhaust tips, the Class III Trailer Tow Package, LED headlights, a high gloss black mesh grille insert, black roof rack side rails, and blackout treatment for the headlights and taillights. The 401A Equipment Group ($2,825) installs rain-sensing windshield wipers, a 110-volt outlet, a universal garage door opener, second-row heated seats, cooled front seats, a power tilt and telescoping steering wheel, a Sony audio system, memory for the driver's seat and side mirrors, inflatable rear outboard safety belts, a front 180-degree camera, two second-row USB ports, and ambient lighting. The ultimate Ford Explorer is the Platinum, with an MSRP of $55,160. This range-topper comes with the twin-turbo V6, chrome exterior touches, a twin-panel moonroof, an upgraded Sony audio system, perforated leather seats with quilted bolsters, memory functionality for the pedals, enhanced park assist, and the active safety features from the Safe and Smart Package. The Platinum doesn't have any packages available, as it already comes with nearly every upgrade and option as standard. The 2019 Ford Explorer is the last of its current generation, as the model is due for a complete redesign in the 2020 model year. For the money, the Limited trim is the best value on the board for the 2019 lineup. Consumers living in cold weather climates should add all-wheel drive to any Explorer they choose. The Ford Explorer has seen its fair share of nips, tucks, and powertrain updates since its current generation hit showrooms in 2011. While these updates have been nice, the 2019 Ford Explorer still runs on a nine-year-old platform and design language. Is it worth looking past this lack of change and buying this aging SUV for your family? Keep reading to find out. The 2019 Ford Explorer is available in five trim levels: base, XLT, Limited, Sport, and Platinum. While the Limited and Platinum models are enticing, they're very expensive, so we recommend going with the more reasonable Explorer XLT. This midrange trim comes standard with keyless ignition, LED low-beam headlights, LED taillights, reverse-sensing system, a leather-wrapped steering wheel, SiriusXM, and more. 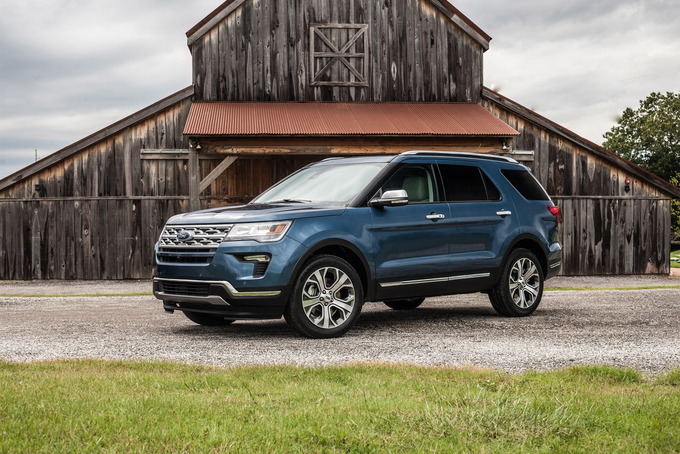 The 2019 Ford Explorer has three engines that are more than capable of getting this full-size SUV up to speed quickly. Buyers looking for a little fun sprinkled in with their family hauling will find the Explorer Sport a perfect match. And for buyers looking for a balance of performance and fuel economy, the 280-horsepower 2.3-liter four-cylinder engine is just right. The 2019 Explorer delivers a soft ride that absorbs crater-sized potholes with ease. Even its optional 20-inch wheels aren’t enough to throw off the ride quality. Handling, however, is a sore spot, as the Explorer quickly shows its heft in the corners – even the Sport trim. Fuel economy takes a big hit with both V6 engines, too. The Explorer’s interior is free of much of the clutter that has riddled the automaker’s cabins as of late. This gives the 2019 Explorer a clean look. Also, in higher trims, the Explorer’s cabin looks downright luxurious. While the higher trims are convincingly luxurious, the base model is too basic for most buyers. Moving to the outside, the Explorer is far from ugly, but its looks are getting ancient as its last redesign was way back in 2011. Sure, it’s had some mild surgery throughout the years, but it needs a complete overhaul. The Explorer’s turbocharged powertrains make things fun in a straight line, and its upscale interior in the Limited and Platinum trims may make you think you’re in a more premium SUV. The Explorer’s design is ancient and quickly getting lapped by every other SUV in its class. It’s time for a redo. SUV shoppers looking for a nice-performing SUV that can tow a medium-sized trailer and haul the entire family in a surprisingly luxurious cabin will love the higher-trimmed Explorer models. Base-level SUV shoppers will want to avoid the Explorer due to its stripped-down base cabin and thirsty standard V6 engine. 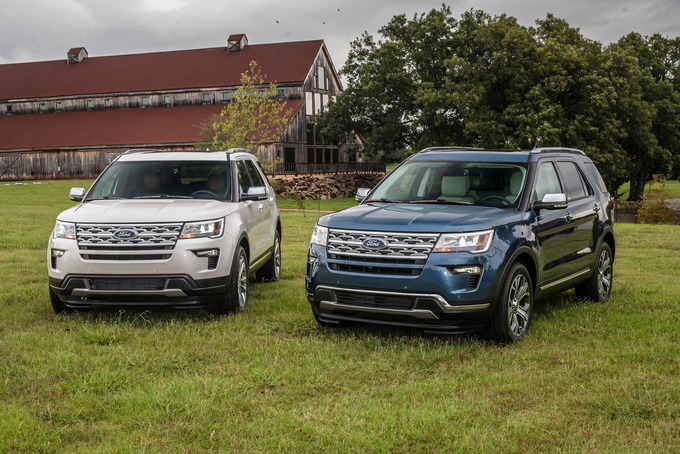 The 2019 Ford Explorer still gets the job done as a people- and cargo-hauling SUV, and its upper trims do a nice job of satisfying discerning buyers, but it's time to take that design to pasture. It’s had a great run, but the competition has zipped by it. 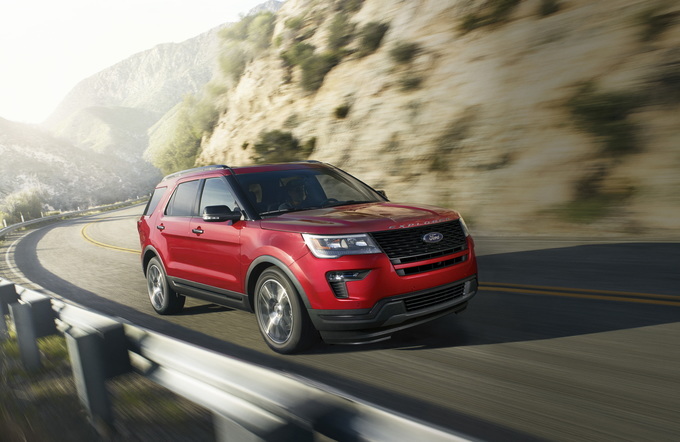 We have partnered with trusted dealers in your area to give you a great price on the new Ford Explorer.